Air Fryer vs Convection Oven – Which is Better? In recent years, air fryers have taken both U.S. and international markets by storm. They’ve often been called the hottest new kitchen appliance, the next kitchen craze. You may wonder, however, if an air fryer is right for you. How does it work? How does it compare to similar hot air appliances, such as the countertop convection oven? We’ve compiled everything you need to know about air fryers and convection ovens to make an informed purchasing decision. Below, you’ll come to understand how these devices work and the pros and cons of each. Our objective approach will help you decide which appliance will best suit your lifestyle. Air Fryers - How They Work? Countertop Convection Ovens - How They Work? How Are Air Fryers & Convection Ovens Similar? Can an Air Fryer Replace an Oven? Which is Better - A Convection Oven or an Air Fryer? Air Fryers – How They Work? Air fryers are countertop cooking appliances designed to imitate the results of deep-fried food. Air fryers use fan circulated superheated air, with little or no cooking oil, to achieve crunchy and browned “air fried” foods. While the results are not identical to deep frying, hot air frying produces a Maillard reaction, a chemical reaction between amino acids and sugars in the food’s surface that gives fried foods their distinctive flavor. Air frying is considered a healthier alternative to deep frying. Why? Deep fried foods have increased caloric contents because they absorb large amounts of oil. Hot air frying reduces the oil needed by seventy percent or more, thus reducing calories when compared to deep frying. Countertop Convection Ovens – How They Work? You may be familiar with stoves that feature built-in convection ovens, or with the commercial grade convection ovens often employed in bakeries. 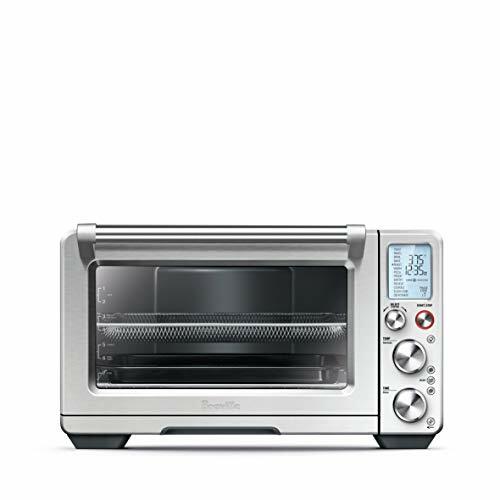 What we will discuss here, however, is the countertop version – small convection ovens that are generally twice the size (or more) of a standard toaster oven. “Convection” cooking allows you to see a scientific principle at work. Air naturally has a tendency to move when it is heated – you may have noticed, for example, that hot air in your home tends to rise toward the ceiling. This same principle is employed more acutely in a convection oven. Air in the bottom of the oven is heated by an element, and it naturally rises. This pushes cooler air down to be heated by the element. Fans are used to circulate the air even faster. This results in more rapid conduction of heat into the food, cooking it more quickly. What do these two appliances have in common? Air fryers and convection ovens both use fans to circulate superheated air. This results in faster cook times and crispier snacks when compared to baking in a conventional oven. Both air fryers and countertop convection ovens are designed to fit nicely on your kitchen countertop. Both have a relatively large footprint when compared to other appliances. Both air fryers and convection ovens can be used to replace other appliances, such as conventional ovens, toaster ovens, and toasters. Before making an appliance purchase, it’s good to have all the facts. Here, we’ll help you wade through the mountains of information available on these two appliances. We’ll compare their effectiveness in terms of how they work, how much space they need, performance, pricing, cleanup, and ease of use. While both air fryers and convection ovens use fans to circulate heated air, there are differences in how the appliances work – and in the results, you’ll achieve. For example, the heating element is located on the top of an air fryer, while it is on the bottom in a convection oven. What difference does this make? The air fryer’s topside heating element is located very close to the food for crispy cooking efficiency. An air intake on the top of the machine and an exhaust on the back regulate temperature and internal pressure. A motorized fan circulates the air so that the food cooks evenly, and perforations in the cooking basket facilitate this air flow. Use of an air fryer typically reduces cook time by 20 percent or more. The convection oven, also called a fan oven or fan-assisted oven performs much like a traditional baking oven. Fans are used to circulate air warmed by the heating elements. Some convection ovens have multiple heating elements located on the top, bottom, and back of the appliance. Convection ovens may result in more even cooking of baked goods such as cakes, or in reduced cooking temperatures. Large or non-perforated baking pans may inhibit airflow, reducing beneficial effects. Most air fryers have a footprint of 12 square inches or less. For example, the Philips XL Airfryer has a footprint of 12.4 inches by 11.9 inches. 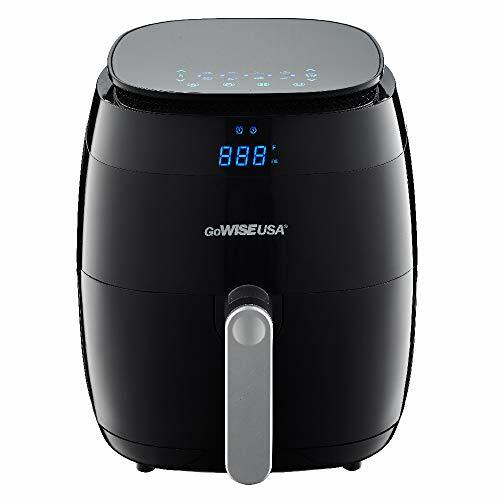 The 8 quart Power Air Fryer, perhaps the largest on the market, has a 16.9 square inch footprint. By comparison, a standard countertop convection oven might have a footprint of at least 14 inches by 22 inches – more than doubling the needed counter space of most air fryers. Many convection ovens are also over 16 inches in height, and may not fit under your kitchen cabinets. If counter space is in short supply, “mini” compact air fryers, such as the Dash, are available. This air fryer has dimensions of 8.1 by 10.2 by 11.4 inches. Winner: When it comes to saving on countertop space, the air fryer wins. Convection ovens and air fryers both aim to produce the same result – to heat food quickly to produce a Maillard Reaction, the browning that lends fried and air fried foods its flavor and crunch. Air fryers are typically designed to cook small servings. They range in capacity from 1.6 quarts to 8 quarts. The large “family size”8-quart models can handle small whole poultry or about eight servings of other air fried foods. Smaller air fryers require smaller cuts of meat and fewer servings. The convection oven can also handle a whole small chicken, or an entire twelve-inch pizza – a feat of which most air fryers are not capable. Many convection ovens have two or more racks, considerably increasing cooking space. Winner: In terms of performance, the convection oven wins – convection ovens can handle large batch cooking due to their larger cooking area. The air fryer is meant for smaller batch cooking. Air fryers typically range from around $89.00 to around $299.00 in price. Small air fryers can sometimes be found for less than $50.00. The average price for an air fryer is in the $120.00 to $150.00 range. Products advertised as “convection toaster ovens” can be found for $150.00 or less, but these are not convection ovens in the truest sense. 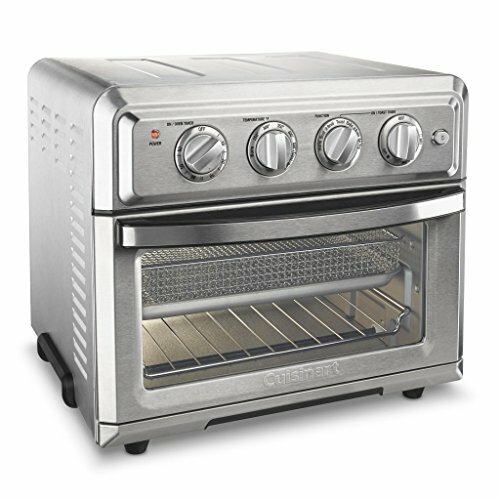 While these ovens have a fan-assisted additional heating element, they are generally smaller than true convection ovens. The close proximity of the heating element to the food may result in uneven heating of the food, especially hot spots at the back of the oven. 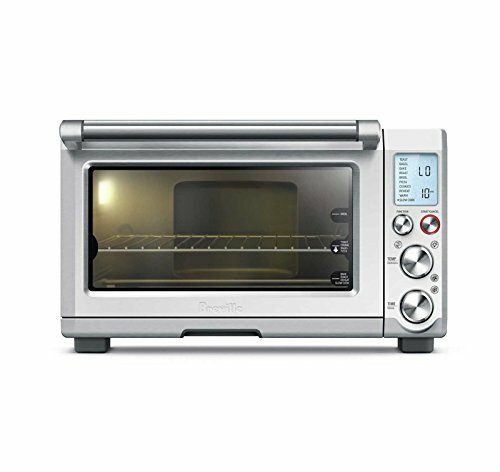 Many true countertop convection ovens are much larger and are priced at $200.00 or more. Winner: When it comes to affordability, the air fryer wins. Air fryers are designed to make cooking a breeze. When using an air fryer recipe, simply coat your food item in oil if desired, pop it in the air fryer, and set the temperature and time. Traditional recipes can easily be converted using these air fryer cooking charts. You may wish to flip, stir, or otherwise agitate the food once or twice during the cooking process to achieve even cooking. Convection ovens are said to cook up to 25 percent faster than a conventional oven, but this varies by model. This may leave you guessing as to how long to cook your favorite meal – or with dishes that are either undercooked or burnt when you take them out of the oven. Recipes timed specifically for convection ovens are few and far between. Controls also differ between these machines. Air fryers may be manual or digital, but generally have only two controls – time and temperature. Many models have handy one-touch presets, such as French fries, meats, fish, or reheating. Others allow you to set your own presets to match the dishes you make most. Large digital displays are easy to read, especially for those who use reading glasses or have other vision problems. Controls on a convection oven, whether digital or manual, can be a bit more confusing. 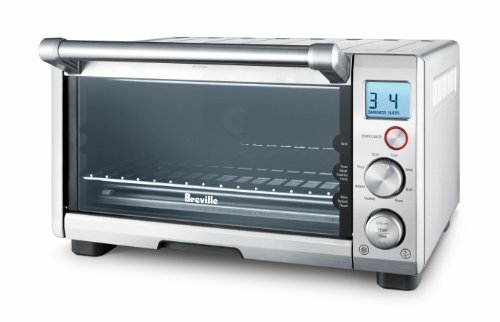 In addition to time and temperature, ovens often have a separate control with settings such as bake, toast, warm, and broil. Presets may also be available. Finally, as with any oven, you may need to flip your food during the cooking process. The metal exteriors of convection ovens may become hot enough to cause burns if touched. Most air fryers feature plastic or enamel housings that keep the surface of the appliance cool to the touch. Caution in still in order when opening the air fryer or handling interior components. Winner: If you’re interested in prepping your food and walking away, the air fryer wins. Most air fryers are also designed for ease of cleanup. Surfaces that come in contact with your food are generally non-stick and dishwasher safe, as are most accessories. The outside of the oven can be cleaned with a damp cloth. As the cooking area of the air fryer is completely enclosed, you’ll have no messy splatters from hot liquids or oils. Convection ovens, on the other hand, are similar to conventional ovens in their use. Racks and interior surfaces may not feature non-stick coating, and baked-on spills can be a headache to remove. Aerosol oven cleaners may release harmful fumes. Winner: If you wish to clean up your after-dinner dishes in a hurry, the air fryer wins in terms of ease of cleanup. As you can see, the air fryer brings home the gold in three out of four categories discussed above. So, unless large batch cooking is extremely important to you, it is clear that the air fryer will be the most useful and efficient appliance in most cases. Air fryers have simple controls and are designed with non-stick coatings and dishwasher safe parts for quick and easy cleanup. Air fryers are generally more affordable than countertop convection ovens of equal caliber. Air fryers allow you to bake, steam, roast, grill, toast or reheat foods while taking up relatively little counter space. This makes them excellent for crowded kitchens, college dorms, and economy apartments alike. Convection ovens are larger, and therefore more servings of food may be prepared at the same time. The larger size accommodates items such as whole chickens, turkeys, and frozen pizzas, which are impossible for all but the largest “family size” air fryers. In addition to cooking large items, the extra space of convection ovens allows you to cook multiple items at the same time, on two or more cooking racks. Convection ovens provide benefits of crispiness, energy efficiency, and reduced cooked times similar to air fryers. Yes, an air fryer can be used to cook anything that could be prepared in a conventional oven. In fact, an air fryer can be used to replace a number of appliances, including your conventional oven, toaster oven, deep fryer, toaster, electric grill, and convection oven. It may even replace your stovetop or hot plate for boiling eggs, preparing sauces, and sauteeing stir-fries. 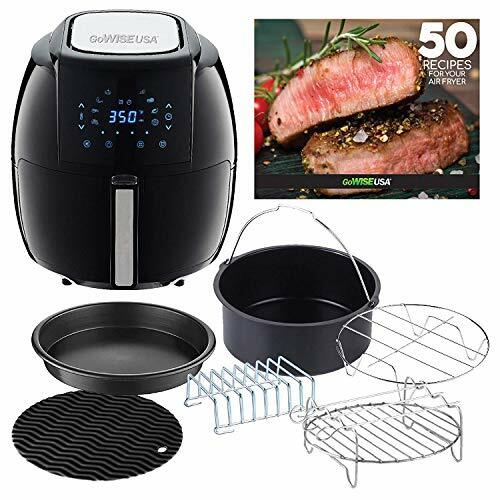 Accessories may be needed to adapt your air fryer to various culinary vocations. It should be noted, however, that an air fryer may underperform its competitors when cooking larger items such as frozen pizzas or whole turkeys. If these items are an important part of your cooking experience, you might consider a countertop convection oven as an alternative. In this case, it provides the best of both worlds, offering crispy foods and rapid cook times while still supporting these specialty food items. Which is Better – A Convection Oven or an Air Fryer? Whether an air fryer or a convection oven is the right fit for your home depends on a number of factors. For example, larger families or those needing to prepare large batches of food may find a convection oven to be the more efficient option. If your family is smaller (two to four individuals) or if you wish to use to appliance primarily for small batches of snacks, the air fryer is the obvious choice. In considering the above information, you are now equipped to make the best investment possible in cooking for your family.